The firm will work on product launches, major events such as the Consumer Electronics Show, and handle media relations for the company. M3D Pro printer. (Image via Diffusion). FULTON, MD: M3D, a manufacturer of consumer 3D printers, has chosen Diffusion PR as its AOR. 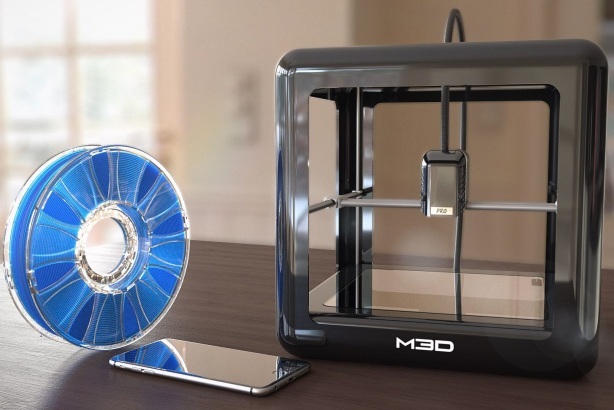 M3D, founded in 2012, produces a micro 3D printer for consumers. Diffusion will oversee mostly traditional media relations for the company, as well as work on product launches and events such as January’s Consumer Electronics Show. "Consumer 3D printing is a fascinating area right now; it has reached the maturity level," said Kate Ryan, U.S. MD at Diffusion. "M3D really came out of the gate with a hot new consumer pricing model for 3D printing, and we want to take them to the next level." Ryan will lead the five-person account team from the firm’s New York office. The agency began its AOR relationship with M3D in October after collaborating with the company on a project basis. There was no RFP and the contract will run through 2017. "We hope Diffusion will help M3D connect our products and services to our customers," said Michael Armani, CEO and cofounder of M3D. "3D printing is applicable across tons of audiences, and Diffusion is working with us on making the technology an appealing offering for niche and mainstream audiences." Diffusion’s first campaign for M3D focused on Apple’s unveiling of its wireless headphones, Air Pods. It created a campaign playing on the fears that Air Pods will fall out of customers’ ears, and used the M3D printer to make basket earrings that would theoretically catch tumbling ear buds. The firm also pitched the idea to technology news websites. "It’s exciting now to see 3D printers that can become a household item," Ryan said. "Driving creativity in the home is how we’re pitching them. Plus, niche communities are interested in 3D printing like the DIY community and the Etsy community." Diffusion previously worked with another 3D printer manufacturer, Robox. Its consumer tech clients include artificial-intelligence-powered toymaker CogniToys and software company CyberLink.